Markets are roiling with seismic change: Black Swan events, the return of volatility, lackluster performance, and a continued string of fund redemptions. 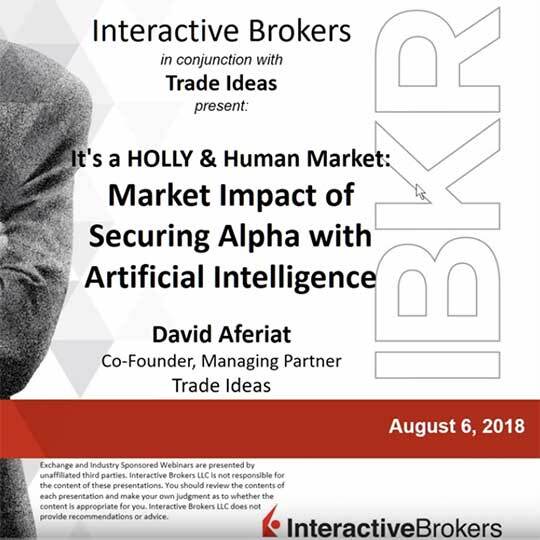 Join a conversation on the market impact A.I. powered technology is making in both active and passive investment management. We’ll discuss methodologies behind one fintech innovator (Trade Ideas)’ process of applying data science to market analysis.